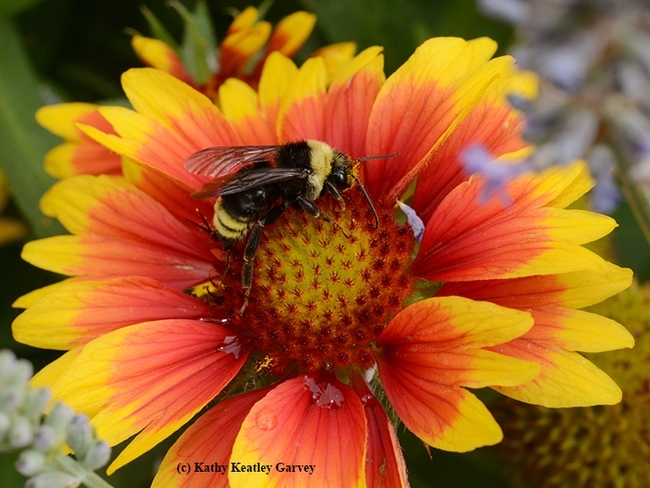 If you're looking for a holiday gift for family and friends--or maybe yourself--think bees and blooms. Specifically, California bees and blooms. 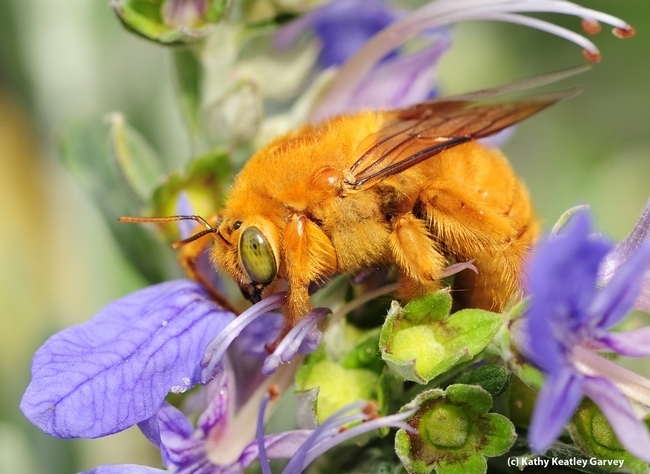 Even more specifically, undomesticated bees (that is, not honey bees). 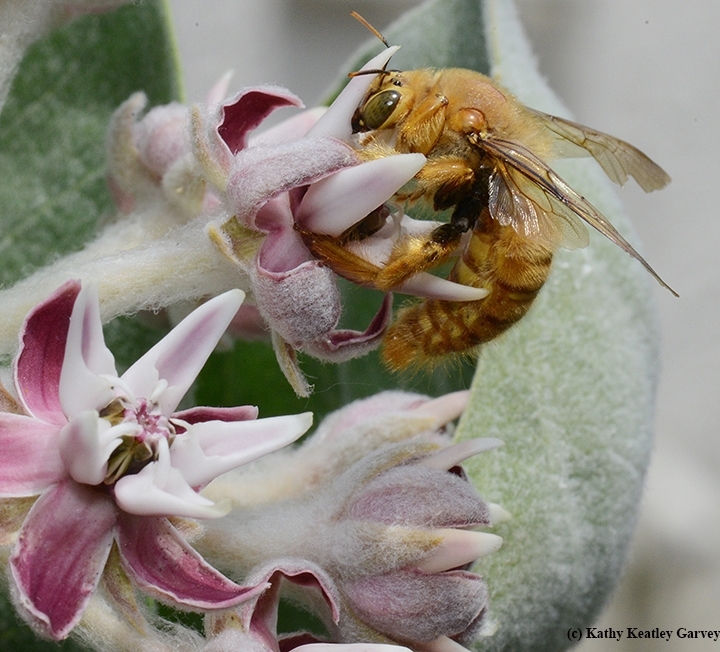 Of the 4000 undomesticated bee species in the United States, some 1600 species are found in California? 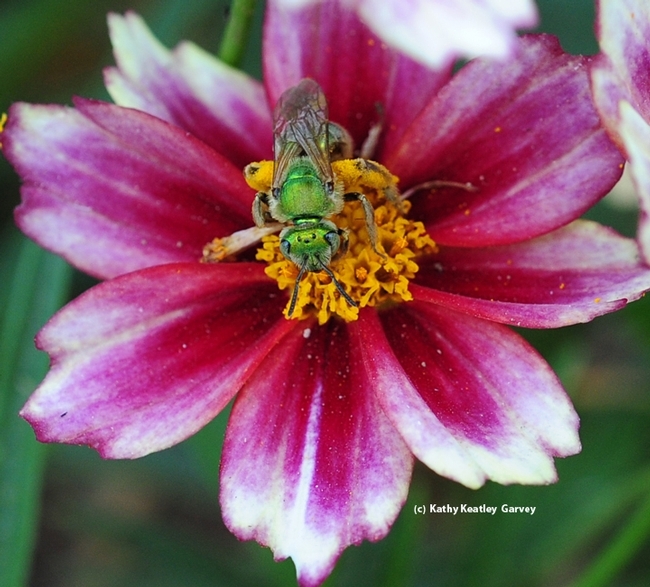 Seventy percent of bees nest in the ground, and 30 percent in pre-existing cavities? 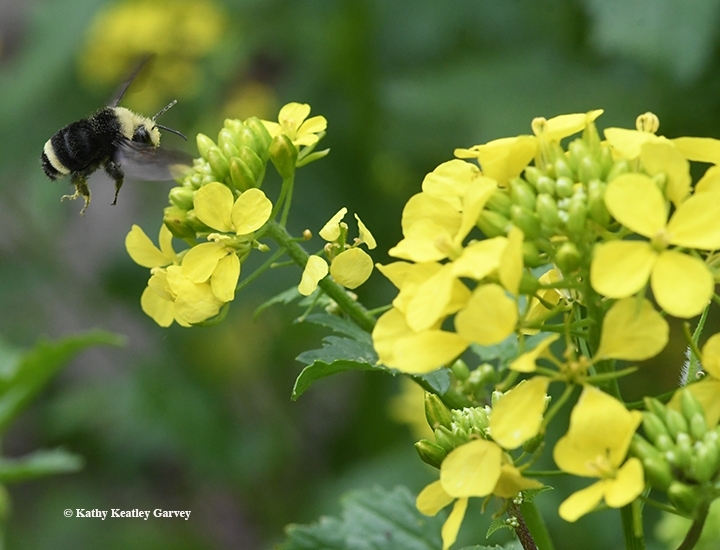 Like honey bees, native bees are declining due to pesticides, habitat destruction and fragmentation, global climate change, drought and other extreme weather events, and lack of nutrition. Those are just some of the facts in the landmark book, California Bees and Blooms: A Guide for Gardeners and Naturalists (Heyday Press). the work of UC-affiliated authors Gordon Frankie, Robbin Thorp, Rollin E. Coville, and Barbara Ertte. The book is available online and at numerous other sites. At UC Davis, you can find it at the Bohart Museum of Entomology, 1124 Academic Surge Building on Crocker Lane (and with other bee books at UC Davis Stores). 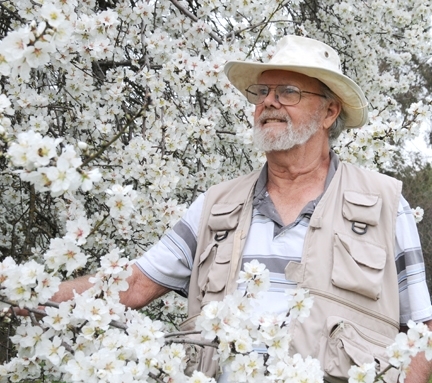 Native pollinator specialist Thorp, a Bohart Museum associate, is a distinguished emeritus professor, UC Davis Department of Entomology and Nematology and also the co-author of Bumble Bees of North America: An Identification Guide (Princeton University Press). 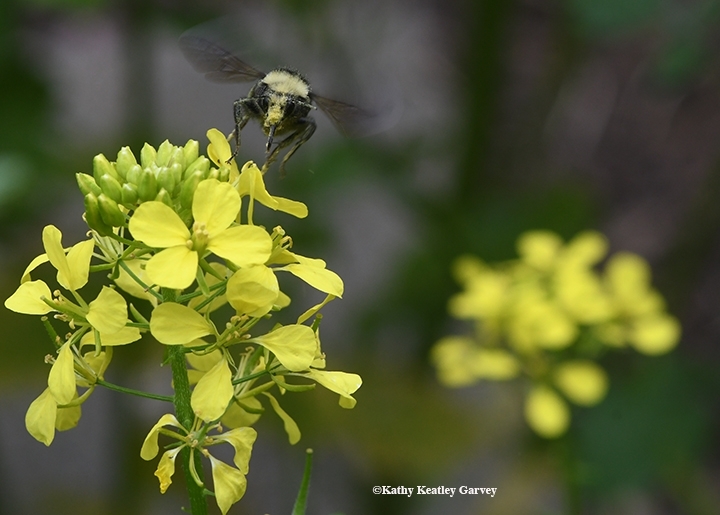 He retired in 1994 after 30 years of teaching, research and mentoring graduate students but continues his research on pollination biology and ecology, systematics, biodiversity, and conservation of bees, especially bumble bees. 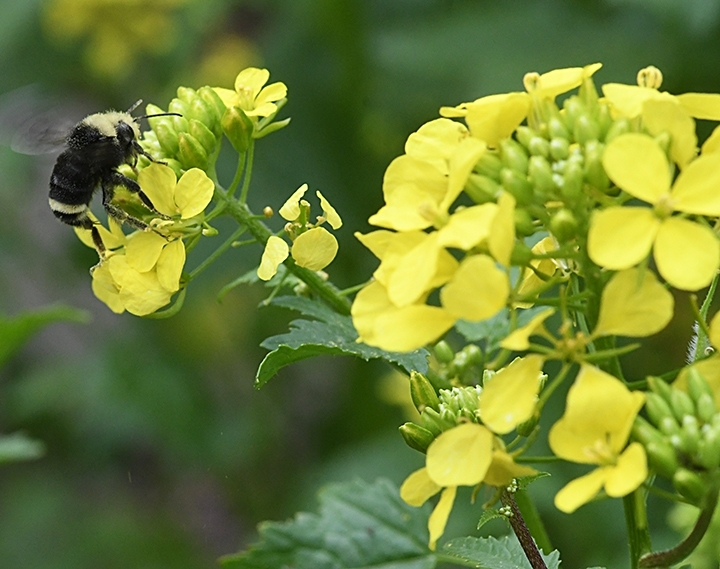 Among his special interests: native bees of the vernal pool ecosystem.He maintains his office in the Harry H. Laidlaw Jr. Honey Bee Research Facility on Bee Biology Road, west of the central campus. 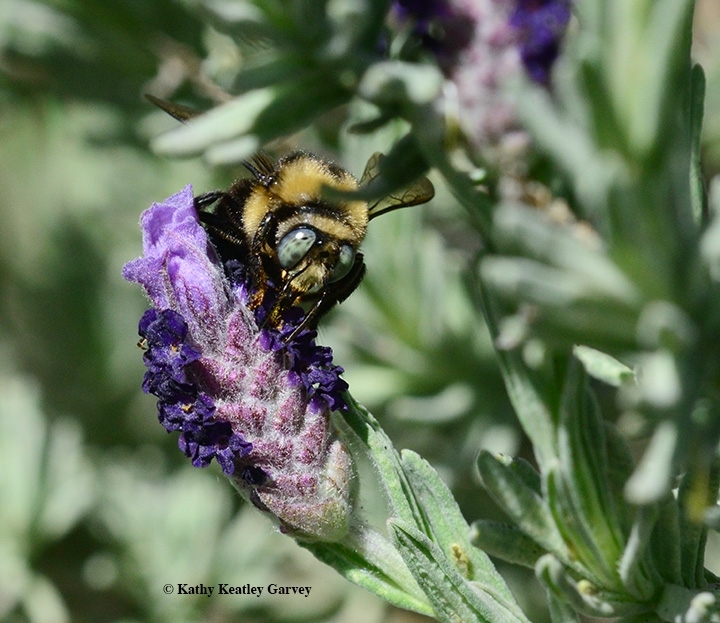 Native bee expert Frankie is a professor and research entomologist at UC Berkeley. His specialty is behavioral ecology of solitary bees in wildland, agricultural, and urban environments of California and Costa Rica. More information on his projects can be found at www.helpabee.org. See also the Bay Nature interview. Coville, who holds a doctorate in entomology from UC Berkeley, is a noted insect and spider photographer. Check out the photos on his website. Coville also has a strong interest in the biology and behavior of Hymenoptera and has published papers on Trypoxylon wasps and Centris bees. 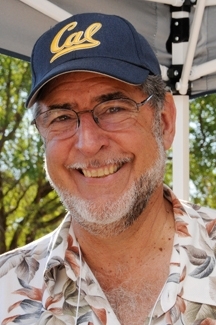 Ertter is curator of Western North American Botany at the University and Jepson Herbaria, UC Berkeley. Primary research interests include western floristics (including the East Bay), systematics of several members of the rose family (that is,, Potentilla, Ivesia, Rosa), and the history of western botany. 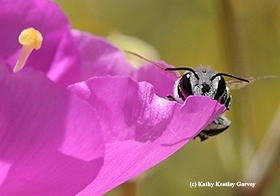 California Bees and Blooms showcases 22 of the most common genera (and six species of cuckoo bees). You can learn about their distinctive behavior, social structure, flight season, preferred flowers (there are more than 6500 flowering species or angiosperms in California), and enemies, such as praying mantids. The some 200 photos in the book will help you identify native bees, such as the bumble bee and carpenter bee below. We found these foraging in our backyard pollinator garden. Know Your Native Bees: Here's How! Do you know your native bees? Can you distinguish a sweat bee from a leafcutting bee from a cuckoo bee from a mining bee? No sweat? Or, are you...ahem...sweating the answer? 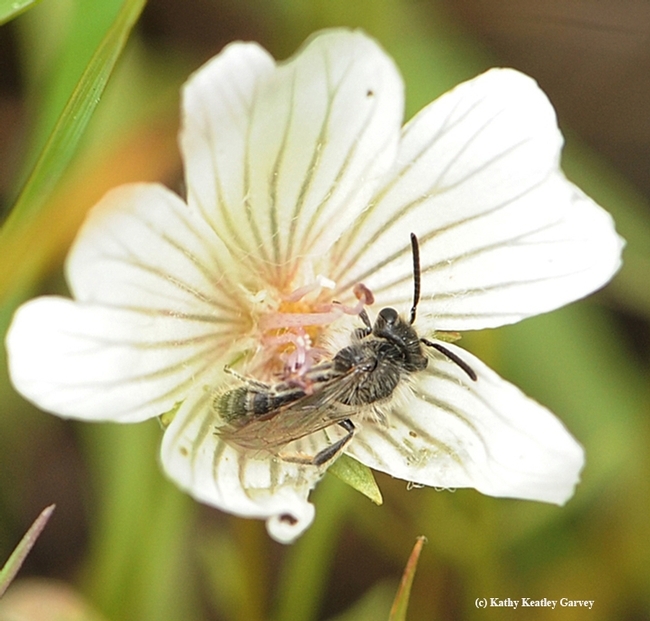 You can learn more about native bees at a special presentation on Saturday, Sept. 17 in the UC Agriculture and Natural Resources' Hopland Research and Extension Center, Hopland. 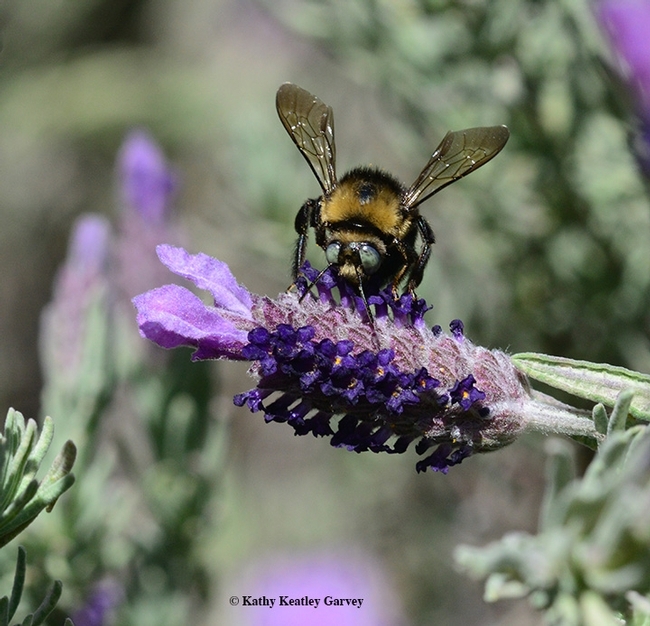 Entomologist/insect photographer Rollin Coville, who captured the spectacular images in California Bees and Blooms, will share his photos. 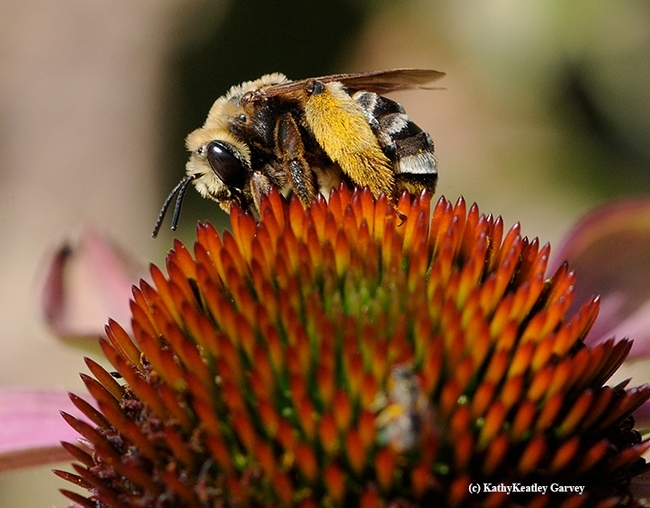 "The morning will be spent learning about some of the 1,600 native bee species found in California, from the leafcutting bee to the cuckoo bee, the sweat bee to the mining bee!" a spokesperson said. 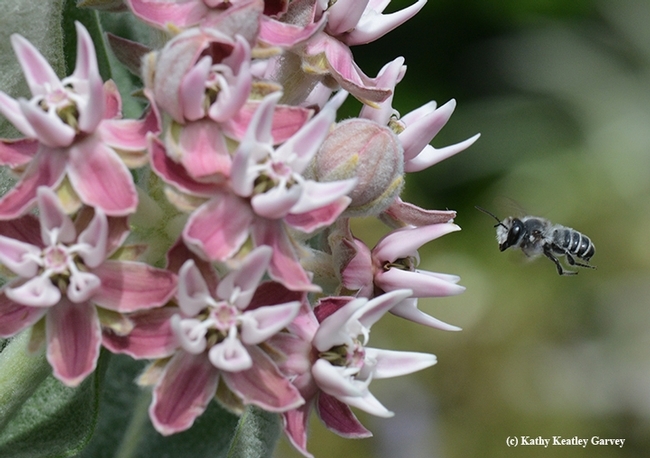 Attendees will learn how to identify them and how to accommodate the needs of the native bees in their own gardeners. California Bees and Blooms is "the bible" of California bee books. 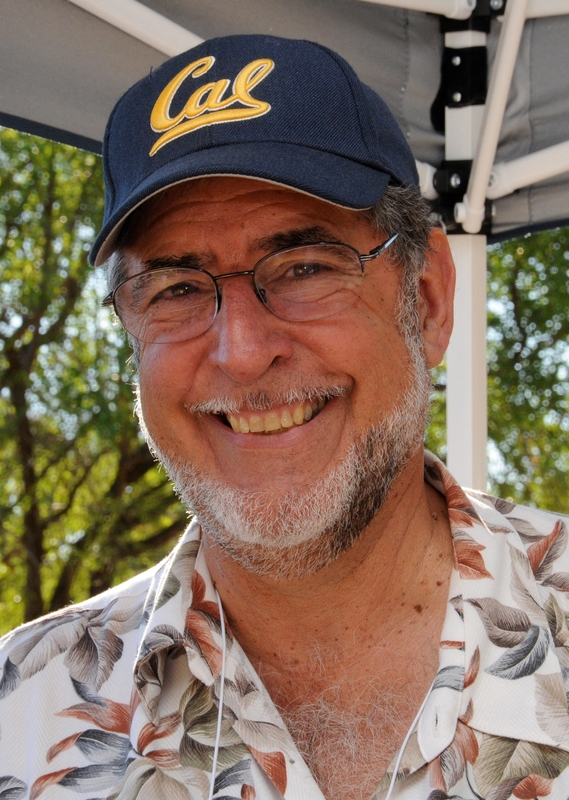 A main co-author is Robbin Thorp, distinguished emeritus professor of entomology at UC Davis. 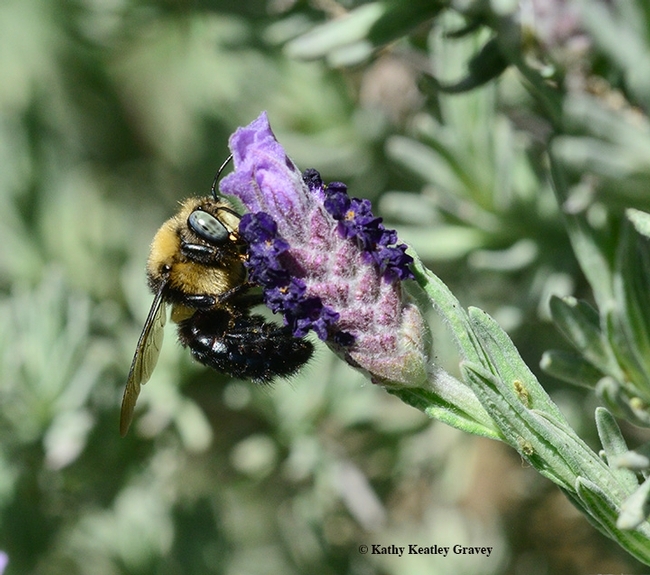 Thorp, who received his doctorate in entomology from UC Berkeley, co-teaches The Bee Course every year at the Southwestern Research Station Portal, Ariz., which began today (Aug. 22) and continues through Sept. 1. 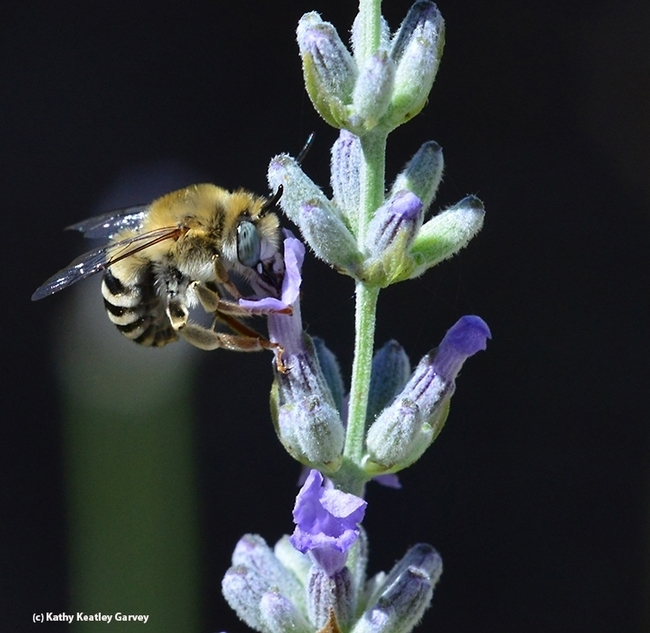 Rounding out the list of co-authors of California Bees and Blooms is plant expert/curator Barbara Ertter of UC Berkeley. 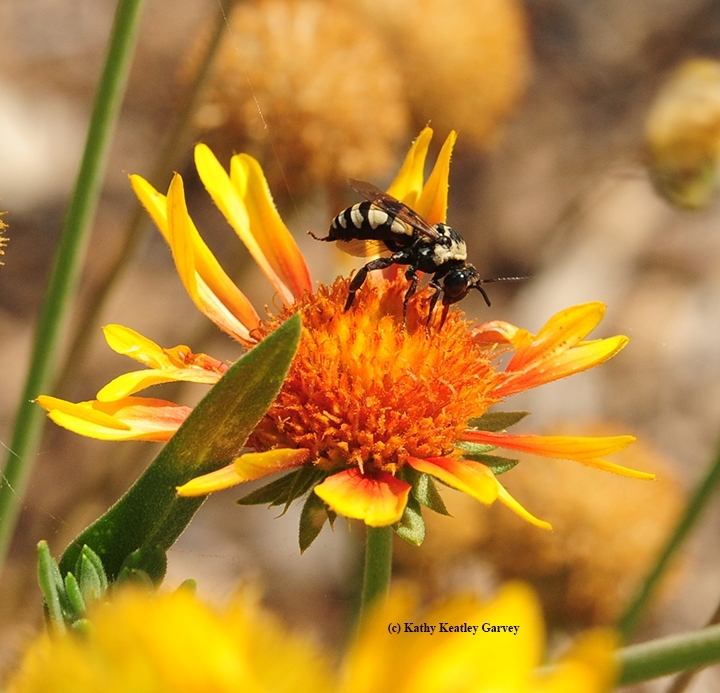 Registration for "Native Bees in Your Backyard" is now underway at http://hrec.ucanr.edu/?calitem=336669&g=61984. Early bird registration before Sept. 1 is $35. Registration is $40 after this date. For more information, contact Bird at (707) 744-1424, Ext. 105 or email her at hbird@ucanr.edu.